The study, which was conducted in rats but likely has implications for people too, the researchers say, found that being sedentary changes the shape of certain neurons in ways that significantly affect not just the brain but the heart as well. 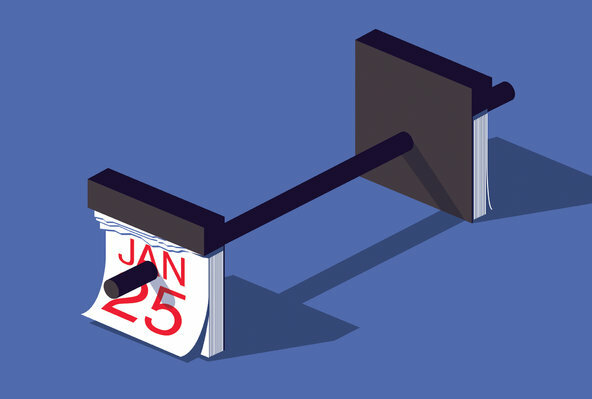 The findings may help to explain, in part, why a sedentary lifestyle is so bad for us. But little has been known about whether inactivity likewise alters the structure of the brain and, if so, what the consequences might be. So for a study recently published in The Journal of Comparative Neurology, scientists at Wayne State University School of Medicine and other institutions gathered a dozen rats. They settled half of them in cages with running wheels and let the animals run at will. Rats like running, and these animals were soon covering about three miles a day on their wheels. The other rats were housed in cages without wheels and remained sedentary. After almost three months of resting or running, the animals were injected with a special dye that colors certain neurons in the brain. In this case, the scientists wanted to mark neurons in the animals’ rostral ventrolateral medulla, an obscure portion of the brain that controls breathing and other unconscious activities central to our existence. The rostral ventrolateral medulla commands the body’s sympathetic nervous system, which among other things controls blood pressure on a minute-by-minute basis by altering blood-vessel constriction. Although most of the science related to the rostral ventrolateral medulla has been completed using animals, imaging studies in people suggest that we have the same brain region and it functions similarly. The sympathetic nervous system will respond erratically and dangerously, scientists theorize, if it is receiving too many and possibly garbled messages from neurons in the rostral ventrolateral medulla. And, as it turned out, when the scientists looked inside the brains of their rats after the animals had been active or sedentary for about 12 weeks, they found noticeable differences between the two groups in the shape of some of the neurons in that region of the brain. Using a computerized digitizing program to recreate the inside of the animals’ brains, the scientists established that the neurons in the brains of the running rats were still shaped much as they had been at the start of the study and were functioning normally. But many of the neurons in the brains of the sedentary rats had sprouted far more new tentacle-like arms known as branches. Branches connect healthy neurons into the nervous system. But these neurons now had more branches than normal neurons would have, making them more sensitive to stimuli and apt to zap scattershot messages into the nervous system. In effect, these neurons had changed in ways that made them likely to overstimulate the sympathetic nervous system, potentially increasing blood pressure and contributing to the development of heart disease. This finding is important because it adds to our understanding of how, at a cellular level, inactivity increases the risk of heart disease, Dr. Mueller said. But even more intriguing, the results underscore that inactivity can change the structure and functioning of the brain, just as activity does. Q. What’s the best remedy for a cold? A. “The best remedy for the cold remains effective prevention,” said Dr. Orli R. Etingin founder and medical director of the Iris Cantor Women’s Health Center at NewYork-Presbyterian/Weill Cornell. 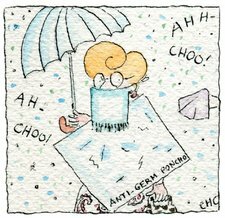 The viruses that usually cause the common cold are spread by touching virus-laden skin or surfaces or by inhaling airborne drops of mucus. If prevention fails, she said, symptoms can be treated. Congestion, low-grade fever and nasal discharge resulting from inflammation of the respiratory tract are most effectively addressed with rest and 60 to 80 ounces of fluids a day. Remedies for a cold’s inflammation, fever and achiness include acetaminophen or nonsteroidal anti-inflammatory medications. Steam and nasal spray can decrease discharge and keep the airways open. Over-the-counter decongestants can also ease congestion symptoms, and mucus-loosening agents like guaifenesin can help decrease coughing. There are several “remedies” that do not work. “Since the common cold is viral, antibiotics are not useful or necessary,” Dr. Etinginsaid, and studies have shown that vitamin C, ginger and zinc are ineffective. Maybe we should rewrite that quote usually attributed to Benjamin Franklin. Nothing is certain except death, taxes — and arthritis, the leading cause of disability in the United States. 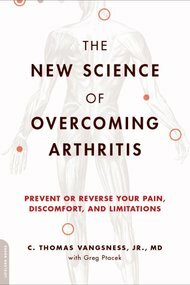 Dr. C. Thomas Vangsness Jr., an orthopedist and chief of sports medicine at the University of Southern California’s Keck School of Medicine, has just published (with co-author Greg Ptacek) “The New Science of Overcoming Arthritis.” I asked him about the most common form, osteoarthritis, in which cartilage wears away, causing joint pain, swelling and stiffness. I’ve edited and condensed our conversation. Q. Do you find that people dismiss it because it’s seen as a normal part of aging? A. Yes. Besides, it doesn’t kill people. It’s more of an ache-y break-y nuisance, and it doesn’t hit the radar. If a couple of senators’ wives died from this disease, they’d make more effort to fund research. Acetaminophen — Tylenol — just works on the pain. The NSAIDS –- nonsteroidal anti-inflammatory drugs — work on the inflammation. Celebrex is a little different pathway, and it’s safer for your stomach but a lot more expensive. Q. Your book sounds very optimistic about stem cells. You did your own double-blind trial using a stem-cell treatment. A. To me, it’s one of the more promising approaches. We injected stem cells into people’s knees to try to regrow torn and removed meniscus tissue. We had it grow back nicely at the one-year follow-up; at two years, that didn’t hold up statistically. But we found that the procedure was safe and that people with arthritis had a big response. And that improvement lasted. Now, I’m starting a study of injecting stem cells into the knee for arthritis relief. I hope to start in the next five or six months. Q. Do you see any role for alternative therapies like acupuncture, chiropractic or meditation? A. Chiropractic, unproven and unrelated to nonspine osteoarthritis. But to have a health care provider touching patients might make them feel better. We don’t know how acupuncture works; I wouldn’t rule it out, but I wouldn’t use it for an extended period. Do I think meditation will decrease inflammation? No, but it may decrease your perception of pain. I live in California. I advise people to see what works. 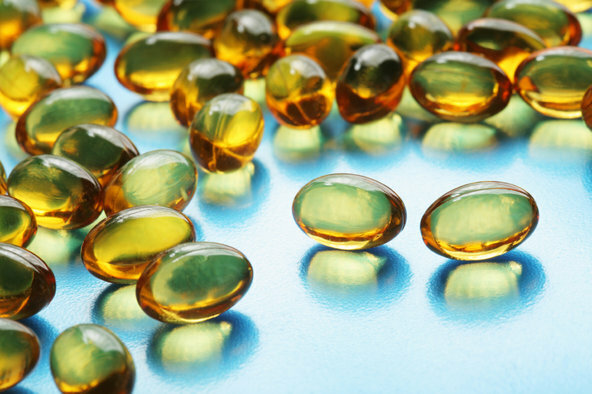 Millions of Americans take fish oil supplements to promote heart and vascular health. But a new analysis suggests that some consumers may not always get what they are paying for. The new research, carried out by a testing company called LabDoor, analyzed 30 top-selling fish oil supplements for levels of omega-3 fatty acids, a group of compounds with anti-inflammatory effects. It found that six of those products contained levels of omega-3s that were, on average, 30 percent less than stated on their labels. The research found more problems when it looked specifically at levels of two particular omega-3s that are promoted for brain and heart health: docosahexaenoic acid (DHA) and eicosapentaenoic acid (EPA). Tests showed that at least a dozen products contained DHA levels that were, on average, 14 percent less than listed on their packaging. According to the Nutrition Business Journal, fish oil products generated about $1.2 billion in sales in the United States last year, making them among the most popular dietary supplements on the market. But like most supplements, they are largely unregulated. Companies do not have to register their products with the Food and Drug Administration or provide proof that the capsules and liquids they sell contain the ingredients on their labels and the doses advertised. Researchers and health officials say that mislabeling is a frequent problem in the supplement industry. A number of studies suggest that regular fish consumption is protective against heart disease, and some research suggests it may lower the risk of Alzheimer’s disease and other chronic conditions as well. The American Heart Association recommends that Americans eat two servings a week of fatty fish rich in omega-3 fatty acids, and it points to studies showing that fish oil supplements help reduce the rate of cardiac events in people with cardiovascular disease. Omega-3s are also essential for brain and nervous system health, said Dr. Joseph C. Maroon, a neurosurgeon at the University of Pittsburgh Medical Center and the author of “Fish Oil: The Natural Anti-Inflammatory.” Eating fatty fish high in omega-3s and low in mercury and other contaminants, like sardines and wild salmon, is ideal, he said, but fish oil supplements can be an alternative. But research on fish oil has not been conclusive. A large meta-analysis of high quality clinical trials published in 2012 found that purified fish oil supplements did not appear to help people with a history of heart disease, though some experts questioned whether the patients studied had been taking the pills long enough to see an effect. Other research has raised questions about whether high levels of omega-3s may raise the risk of prostate cancer. In the current analysis, researchers carried out detailed tests to assess the supplements’ omega-3 content, their levels of mercury, and the extent to which they showed any signs of rancidity or deterioration. Samples of each product were either purchased online on sites like Amazon or bought off the shelves in stores and tested immediately. Then they were ranked according to quality and value. Among the companies whose supplements ranked highly were Nordic Naturals, Axis Labs and Nature Made. LabDoor, which is funded in part by the investor Mark Cuban and by Rock Health, a nonprofit digital health incubator, posted its full list of rankings and results on its website. The company found that several of the products it tested compared favorably to Lovaza, the prescription fish oil marketed by GlaxoSmithKline that can cost hundreds of dollars for a one-month supply. Lovaza is a prescription drug held to strict regulations, so it is subjected to regular quality control tests. But some of the products analyzed by LabDoor contained similar or greater levels of omega-3s at a fraction of the cost. The analysis showed, however, that mislabeling was not uncommon, affecting at least a third of the supplements tested. One of the products had only half the amount of DHA advertised, for example, and another contained only two thirds, said Neil Thanedar, the chief executive of LabDoor. There were also several products that did not mention DHA content on their labels at all. As for heavy metals, the study found that all of the products tested contained only very low levels of mercury, ranging from one to six parts per billion per serving. That range is far below the upper safety limit of 100 parts per billion set by the Global Organization for EPA and DHA Omega-3s, or GOED, an industry trade group. The data provide a good starting point for people considering taking a fish oil supplement, said Philip Gregory, the editor in chief of Natural Medicines Comprehensive Database, which evaluates evidence on dietary supplements. But much of the recent evidence on the supplements has been negative, he said, and it is not clear that most people gain anything from taking them. Another caveat applies to the testing itself. Dr. Gregory said that the new research provides “a snapshot in time,” which may not be a reliable indicator of the overall quality of a line of supplements. Dr. Gregory recommends that consumers check with the USP Dietary Supplement Verification program, a nonprofit group that does regular spot checks on certain supplements and provides a seal to the ones that meet its requirements. Products that carry the seal are widely considered high quality. But the program is voluntary, and as a result many supplement makers do not take part in it. A new clinical trial suggests that a daily dose of a probiotic may ease digestive upset in babies. Italian researchers randomly assigned 468 infants less than a week old to receive either a daily oral dose of Lactobacillus reuteri or an identical tasting placebo. Parents recorded the daily frequency of bowel movements and spitting up as well as the amount of time babies cried inconsolably. Investigators followed the families with weekly phone calls or personal meetings. The study appears online in JAMA Pediatrics. After one month, the babies who got the probiotic showed a significant decrease in crying time and an increase in frequency of bowel movements compared with those who got the placebo. By three months, their frequency of spitting up was reduced as well. The babies taking the probiotic had fewer emergency department visits and needed less medication for stomach problems. Their parents lost fewer days of work, and there were no adverse side effects. The results were adjusted to account for the effects of breast or bottle feeding, vaginal or cesarean delivery, and other factors. Lactobacillus occurs naturally in humans, and the lead author, Dr. Flavia Indrio, a pediatric gastroenterologist at the University of Bari in Italy, said that there are thousands of strains available as supplements. But the only one tested in clinical trials was the one used in this study, called L. reuteri DSM 17938, she said.